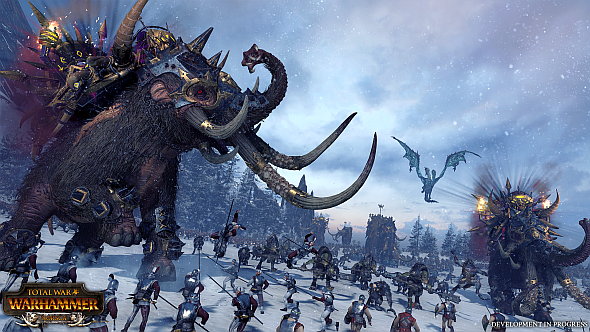 Creative Assembly have unveiled the Norsca DLC for Total War: Warhammer. It’s due to land on August 10, and will be free if you pre-order Total War: Warhammer II or buy it in its first week of release. 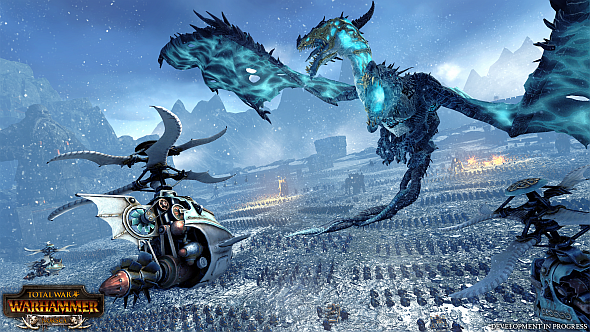 Take a spin around Total War: Warhammer 2’s world and factions. 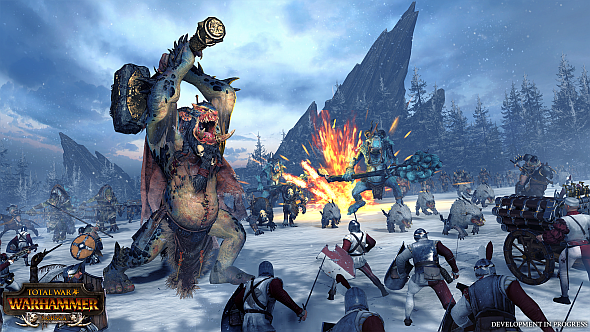 We’ve heard recently that the original game would get a new race, and that they would be the ‘early adopter’ bonus for Total War: Warhammer II – even though they’ll only be playable if you own the original. Their Steam page lists them as available to pre-order individually for £7.99 ($9.99), so it looks like they’re not a pre-order exclusive, just a freebie. CA say the DLC will introduce two new playable factions led by unique legendary lords – from the trailer (and some new screens) one is Wulfrik the Wanderer, a Norscan champion famous for challenging the world’s strongest warriors, and the other is Throgg, the Troll King. Shortly after the sequel’s release, owners of both it and the original will get a free update adding a combined campaign map from both games. CA say Norsca will be added to that combined map in another, later, update. This is all very exciting because it represents CA’s biggest departure yet from the tabletop source material. Warhammer’s Norscan tribes have been present in the lore for a while as the world’s Chaos-worshipping Viking analogues, but they never got an official army book (though that didn’t stop a few fans from writing their own). CA first went off-piste with the Bretonnia update, adding new yet lore-sensitive units like Foot Squires and Hippogryph Knights, but making Norsca playable will likely have needed much more of this sort of licence. I’d say this bodes very well for fans of lesser factions like the Chaos Dwarfs, Kislev, and the Dogs of War. For more on Norsca, check out the Steam page here.